With almost double the number of voters coming to its polls, Boulder City residents showed their reluctance to take on more debt in Tuesday’s election by deciding not to move forward with the proposed library renovation and not allowing the city to refinance its debt. (Celia Shortt Goodyear/Boulder City Review) Boulder City saw almost twice as many voters in the 2018 election Tuesday, Nov. 6, as it did in 2017. The proposed renovation for the Boulder City Library will not be moving forward as a ballot question requesting as much as $10.5 millions in bonds did not pass in Tuesday's, Nov. 6, election. 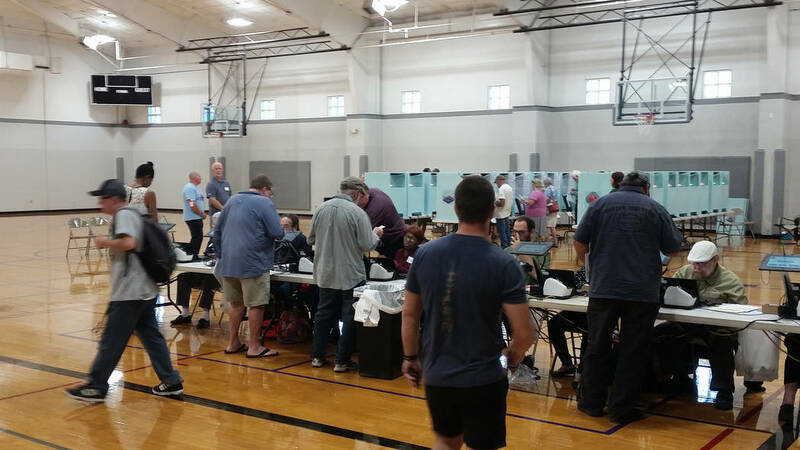 Approximately 7,500 residents voted for the local issues and representation, compared to 4,400 in the 2017 election. “We want to thank everyone who voted,” said Kim Diehm, library director. 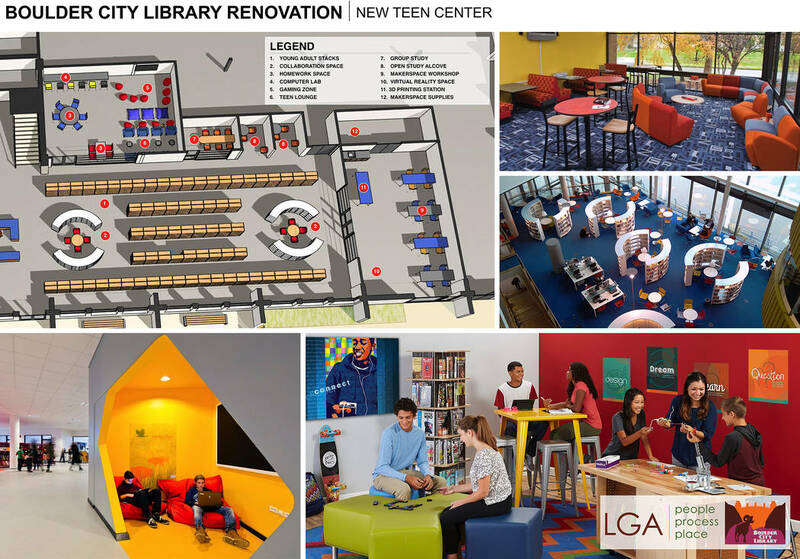 The library had proposed plans earlier in the year to build out part of the basement and renovate the rest of the facility at 701 Adams Blvd. The proposal included more meeting rooms, a cafe, a better circulation area, new patios, a new entrance and designated areas in the lower level for the youth and teen departments. The ballot question asked whether the Board of Clark County Commissioners could be authorized to issue as much as $10.5 million in general obligation bonds to the district for the project. The bonds were expected to increase property taxes. It was estimated that someone who owns a $100,000 home would pay $42 more per year. Of the 7,365 votes that were cast, 67.88 percent voted no. “Of course, we’re disappointed, but we’re still here do our job,” Diehm said. She said she and the library staff will continue supporting the community and providing high-quality programs and library services despite not being able to move forward with the proposed renovation. “We’re just going to keep on keeping on,” she said. Diehm said the library board will discuss how to move forward at its Nov. 15 meeting, which begins at 7 p.m. The only ballot question to pass was the city’s request to spend money from the capital improvement fund on a new fire engine. Voters did not support allowing the city to refinance debt or create a separate department to administer utilities. Boulder City ballot Question 1 asked whether the city could spend up to $750,000 from the capital improvement fund, as money became available, to purchase a new fire engine. Fifty-six percent of the total 7,452 votes cast were in favor of the proposal. The city’s charter requires that all expenditures from the fund be approved by a simple majority of the votes cast by registered voters in town. Question 2 would have allowed the city to refinance debt in order to reduce interest costs without voter approval or modify or remove contractual limitations for existing debt. Of the 7,310 votes cast, 60.5 percent voted no. According to city code, Boulder City cannot incur any new debt of $1 million or more without voter approval and the city’s bond counsel considers refinancing existing debt as new debt. Question 3 would have amended section 136 of the city charter to allow the City Council to establish a separate department to administer the city’s utilities, including privately owned and operated ones and municipal ones, conforming to state law. Of the 7,206 votes that were cast, 55.56 percent voted no, leaving the charter unchanged and inconsistent with state law.